Roller coaster aficionados who visit Kings Island have 9.2 miles of thrills awaiting them. That’s how far they can travel by riding each of the park’s 16 roller coasters, including each side of The Racer. That adds up to 48,930 feet of track, or 9.2 miles of roller coaster excitement! 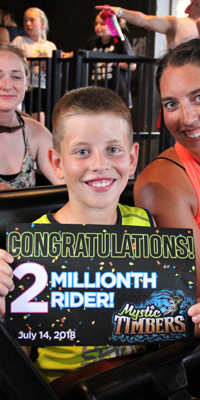 Eight-year-old Braydan Dunkley, of Poca, West Virginia, scored the two millionth ride on the Mystic Timbers roller coaster Saturday at Kings Island. Braydan, who was accompanied on the ride by his mother, Danielle Dunkley, was awarded a souvenir piece of wood from the ride, a Mystic Timbers tote bag, front of the line passes, complimentary blue ice cream, and tickets to return to Kings Island in the fall to experience The Great Pumpkin Fest and Halloween Haunt. The Beast roller coaster at Kings Island has been a favorite attraction for many guests since it opened in 1979, which is why our Kings Island Blog Team wanted to offer our readers an opportunity to join us for a behind the scenes tour of one of the park’s most iconic attractions for our first-ever Kings Island Blog Meet-Up. 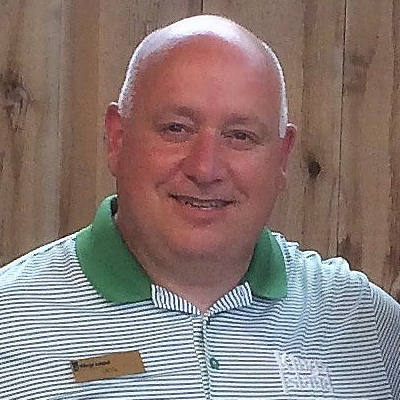 Keep an eye on the Kings Island Blog for future behind the scenes opportunities and events. 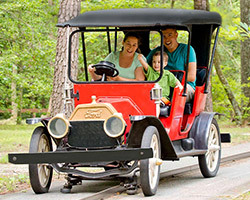 Family fun is even more enjoyable when you’re getting the most out of your dollar. 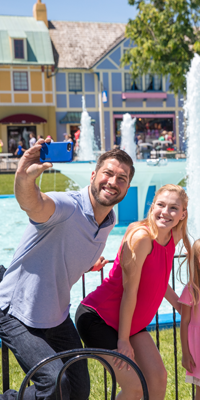 Saving money at Kings Island is easy when you know the right tricks. 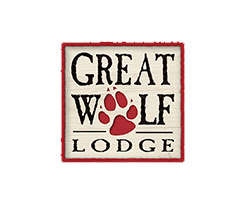 Check out these money-saving tips to get the best value for your time and money when you visit. The only thing better than being a kid is perhaps being a kid, again. A Kid Again, a nonprofit organization which exists to foster hope, happiness and healing for families raising kids with life-threatening illnesses through fun-filled group activities and events, had its 23rd annual outing Thursday at Kings Island. 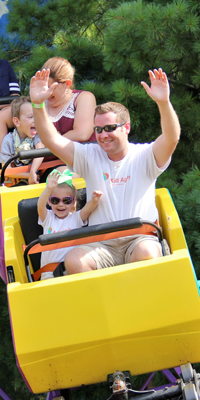 The Kings Island adventure is an incredible day for A Kid Again families, allowing them to give illness a giant timeout. “How can I meet Snoopy?” “Where can we meet the PEANUTS characters?” You asked, and we answered! 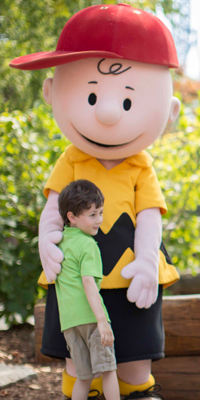 Here are the best ways to meet and get photo opportunities with the PEANUTS Gang during your visit to Kings Island. On this day 40 years ago (July 10, 1978), ABC-TV premiered “World News Tonight” with anchors Frank Reynolds, Peter Jennings and Max Robinson, “Shadow Dancing” by Andy Gibb topped the billboard charts, and in Southwest Ohio, something happened that would change the world forever. Well, at least the roller coaster world. Officials at Kings Island announced the park had begun construction on a major new attraction that would open as America’s champion roller coaster in the spring of 1979. 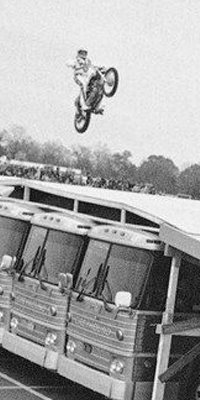 Tonight (July 8) in Las Vegas, legendary stunt man Travis Pastrana will attempt to recreate and break three of Evel Knievel’s most notable motorcycle jumps, back-to-back-to-back, including the original stunt man’s jump over 14 Greyhound buses at Kings Island on October 25, 1975. 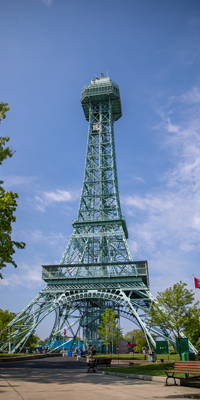 Since its opening in 1972, Kings Island has been a destination for families looking for things to do in Cincinnati. 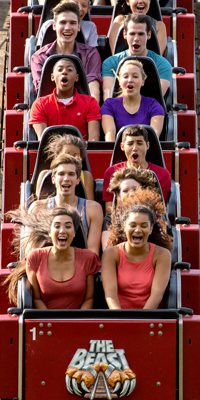 Here are 10 reasons to consider why Kings Island is the thing to do in Cincinnati. Still off of work for the holiday but not sure how to spend your day? There are lots of ways to celebrate the Fifth of July at Kings Island! 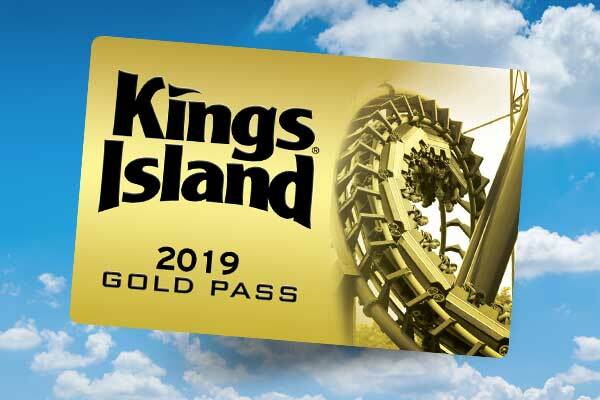 With the big thrills of Banshee, Diamondback, Mystic Timbers and The Beast and the little thrills of the world’s best kids’ area in Planet Snoopy, plus a 33-acre water park, everyone will have more than enough fun at Kings Island. 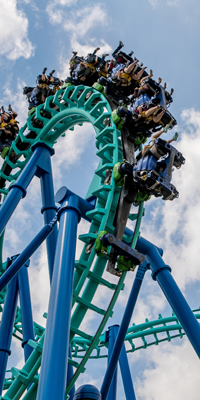 We’re offering our Kings Island Blog followers an opportunity to join us for a behind the scenes tour of one of the park’s most iconic attractions, The Beast roller coaster. The Kings Island Blog behind the scenes Beast tour meet-up begins at 2 p.m. 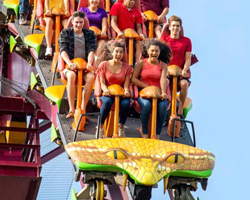 ET at Kings Island on July 14, 2018. 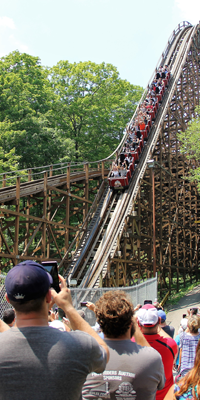 During the meet-up, you’ll learn about the story behind the world’s longest wooden roller coaster, which was designed and constructed by Kings Island personnel, learn interesting facts about the ride, along with plenty of great video and photo opportunities.